Totally on-trend and uber cool these Bus Route signs are irresistible. I chose one with a destination very special to me and it makes me smile every time I look at it. 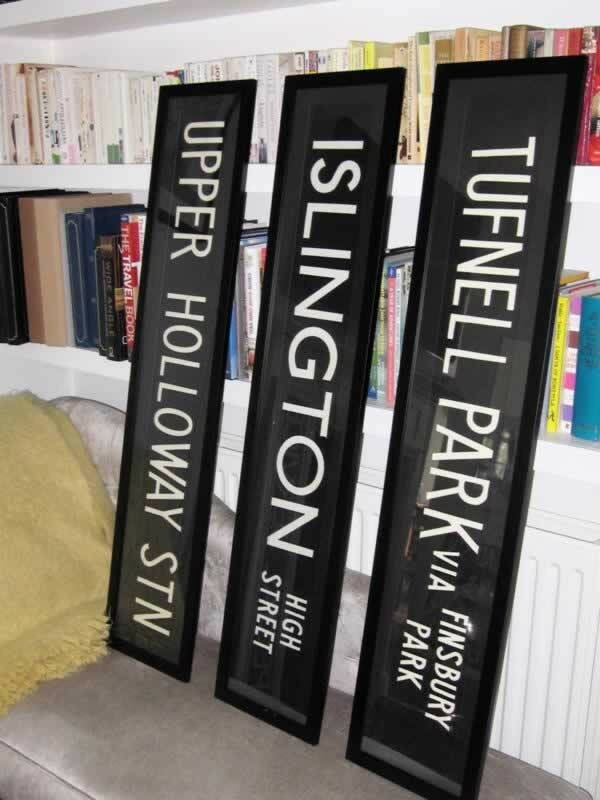 These authentic bus blinds originated from Edwardian buses which carried sign-written wooden destination boards, a leftover from stagecoaches. Routes lengthened when petrol-engines replaced horses, then more versatile roll-blinds appeared. From the 1930's London Transport made their own by hand, - screen printed paper on dutch linen. By the late 1980's stronger, modern materials arrived and blinds were outsourced and machine made blinds came about. They'd make a great gift for a friend or loved one with a destination poignant to them. All of our bus route destination blinds & signs are 100% authentic having been collected from antique fairs, auctions, closing bus depots and kind old bus drivers! We have a vast collection of these original vintage single line bus blinds with thousands of routes and destinations available. We've chosen a few of our favourites which you can select from the drop-down but if you're looking for another route or destination, please enter it in the text box and if on the very rare occasion we can't source it for you, one of our lovely customer service team will be in contact within 48 hours of ordering. If you do not hear from us, you can expect delivery within 2-4 weeks. This item is bespokely made just for you & therefore will take 2-4 weeks to be delivered. Please also note that an additional delivery charge is applicable for this product, our customer service team will contact you with details.